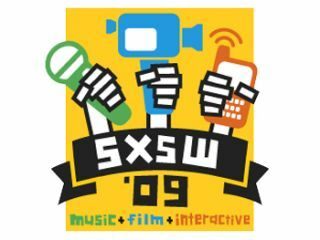 As we wrote yesterday, this week sees the 23rd South by Southwest (SXSW) music festival take place in Texas. Every year, downtown Austin is overrun by label bosses, bloggers, fans and liggers, all trying to hear, watch and discover the hottest new bands for the year ahead - and with over 1800 bands to choose from, it's a tough job. Still, we haven't let that stop us sending our roving blogger Steve Turner to sunny Texas. Between queueing for BBQ and queueing for secret gigs, Steve's promised to report back as much as he can on the sights and sounds of 2009's coolest indie shindig. "We can't stop here, this is hipster country! My attorney and I have dragged our big blue Ford Mustang across the US of A for the last 11 days, sampling good ol' fashioned southern hospitality in Nashville, Memphis and New Orleans. "While the masses queue for regular wristbands, we claim our Masters of the Universe badges quick-sharp and set about nailing a few of the 1800+ bands on offer over the next five days. "Lonnie Walker at the Radio Rooms sound somewhere between Daniel Johnston and Bob Dylan but with an interesting Rolf Harris-esque real-time artist working in the background. This could be the heat, of course. "Time to join (and eventually circumnavigate) the long queue in front of the Central Presbyterian Church for Department of Eagles - an offshoot of Warp cult faves Grizzly Bear, featuring their lead singer Daniel Rossen. "Bloggers around the world have picked up on the normally low-key outfit and it's deserved because Department of Eagles deliver the set of the day. "Highlights from the band's latest album In Ear Park are rattled through but it's the newbie at the end that sets the hairs on end. "Daniel Rossen sings over his own multi-looped vocal harmonies and gentle, picked acoustic guitar which, tonight in this church, gives their set an almost gospel tinge. "The band finish, we shed yet another tear and cruise through the crowds of downtown Austin, sampling generously from the smorgasbord of unknown outfits on offer. "However Department of Eagles have set the bar high and Thursday has a lot to live up to already."